HIPP is a cooperative weed management area (CWMA), a partnership between local, state, and federal agencies, non-profit organizations, private landowners, and university groups in east central Illinois to address the threat of terrestrial and aquatic invasive plants across jurisdictional boundaries. HIPP, while formally established in June 2015, is built upon the efforts of a six year Invasive Plant Task Force established by the East Central Illinois Master Naturalists in conjunction with key sponsors, the Champaign County Forest Preserve District and the Urbana Park District. 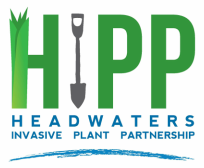 HIPP's coverage includes eleven counties in east central Illinois that are home to the headwaters and much of the watersheds of the Embarras, Kaskaskia, Little Vermilion, Mackinaw, Sangamon, and Vermilion Rivers. HIPP will cover Champaign, Coles, Cumberland, DeWitt, Douglas, Edgar, Ford, Iroquois, Livingston, Piatt, and Vermilion counties initially. This ﻿document﻿ establishes the partners' working relationship.